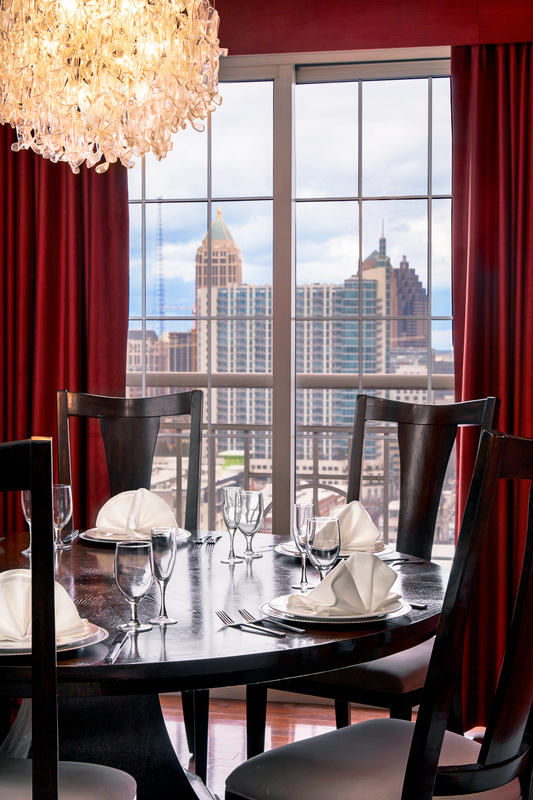 Reflecting the sophistication of modern Midtown Atlanta, our six super-luxurious two-bedroom penthouse suites pair stylish contemporary furnishings with striking skyline views. 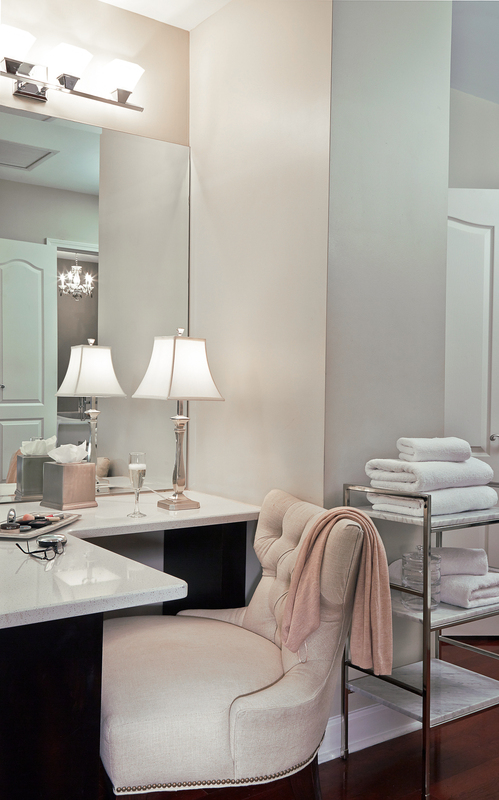 All the essentials are here, including full kitchens, luxe bedding, and walk-in closets. 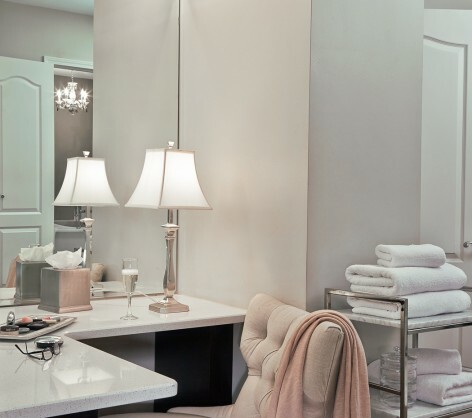 Our two-level Penthouse 1 features an upper level with one master and one guest bedroom with adjacent bathrooms, dressing areas and walk-in closets. On the main level, there’s a full kitchen and a living room and dining room area thoughtfully appointed with contemporary furnishings. Abundant natural light and stylish light fixtures enhance the rich, serene interior. 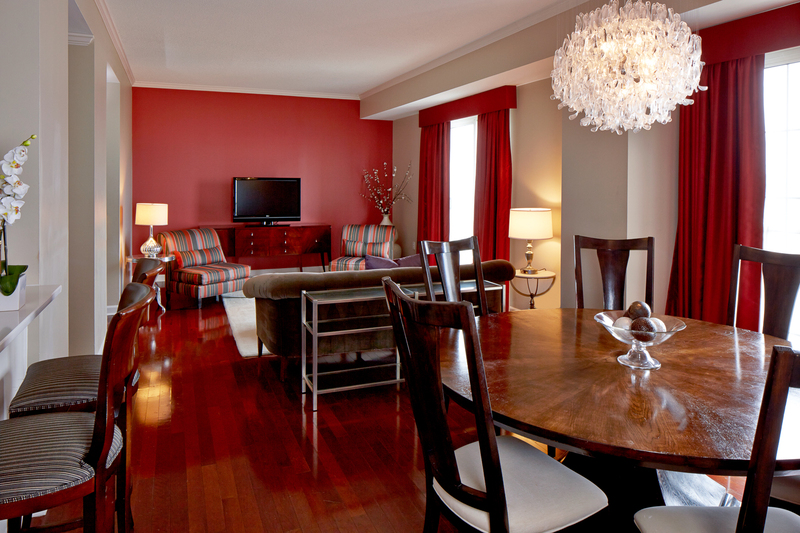 Furnished with mid-century modern furnishings, our spacious, south-facing Penthouse 2 makes a major design statement. 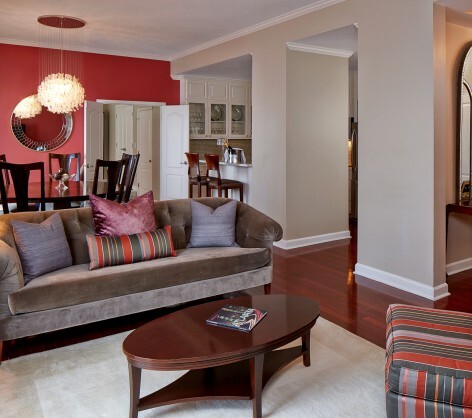 This two-level Midtown retreat features a living room, dining room, den, kitchen and half-bath on the first level and a master bedroom, guest bedroom and two bedrooms upstairs. Offering skyline views of Midtown from a dramatic glass rotunda, our sophisticated, south-facing Penthouse 3 is a stunning, light-filled space. 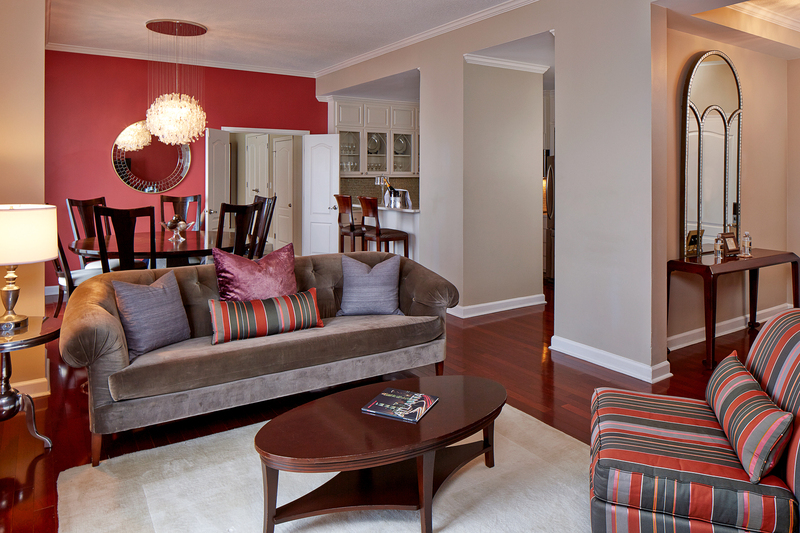 Ideal for entertaining, this two-level pied-a-terre features two bedrooms and two-and-a-half bathrooms, a living room, dining room, full kitchen, and den. 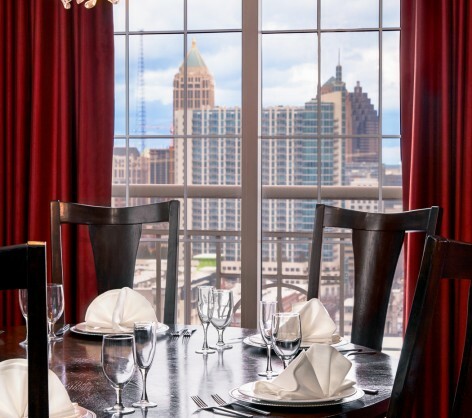 Sunrise views of Midtown Atlanta reward guests of our two-level Penthouse 4, which features a lower level with a stylishly furnished living room with balcony, dining room, contemporary kitchen, and half-bath. 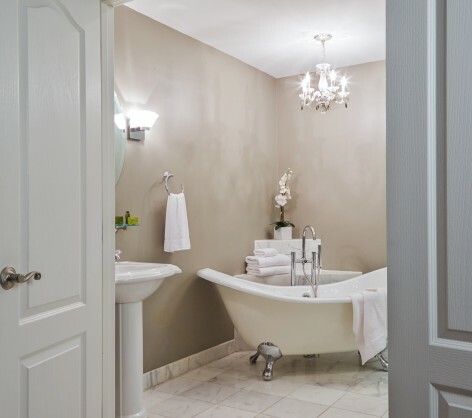 Upstairs, two beautifully appointed bedrooms have dressing areas, generous closets, and en-suite bathrooms with double vanities. 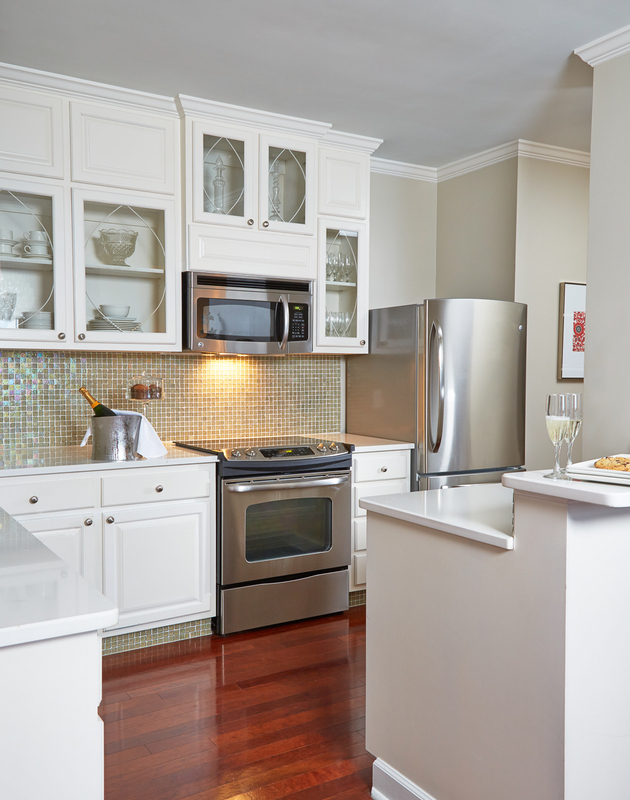 Ideal for entertaining, our east-facing, apartment-style Penthouse 5 features an open-floorplan with living room, dining room, and designer kitchen with stainless appliances and glass-tile backsplash. 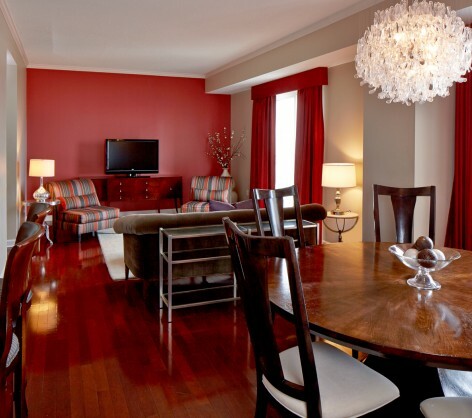 Two bedrooms with balconies, dressing areas and en-suite bathrooms are furnished in with comfortable, modern décor. 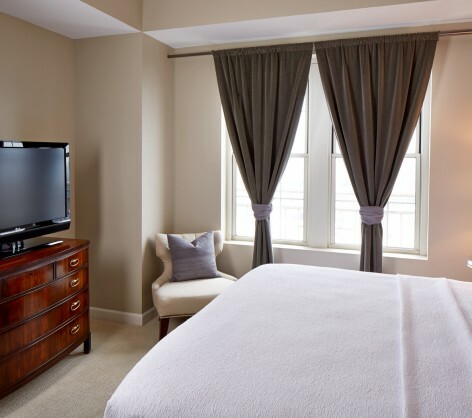 Featuring an open floorplan with airy, upscale kitchen opening to a living room and dining room with chandeliers and twin balconies, our Penthouse 6 is a stylish two bedroom, two bath retreat with east-facing views of Stone Mountain . 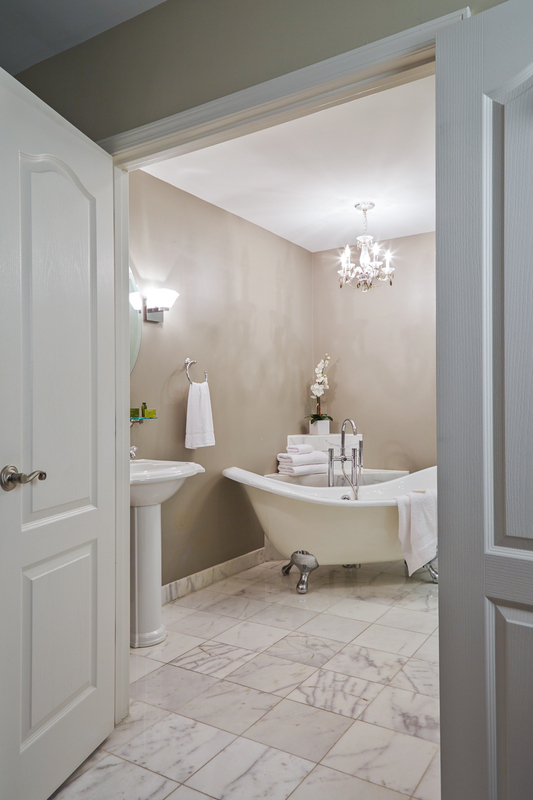 Highlights include a luxurious soaking tub, separate shower and dressing area in the master bath and stainless steel kitchen appliances. 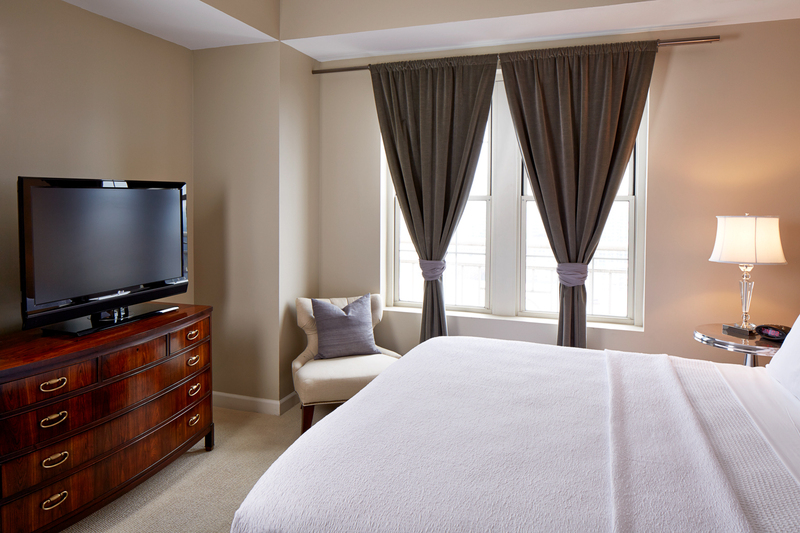 Located on the southwest corner of the eighth floor, Suite 821 is an apartment-style retreat designed with restrained indulgence. 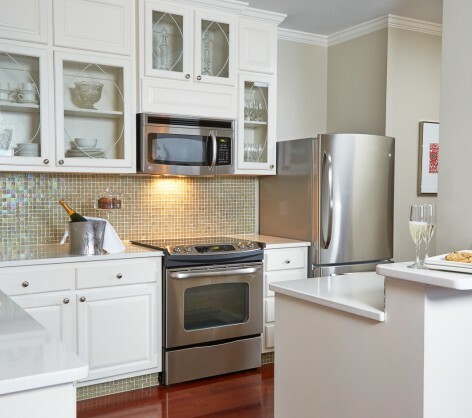 From crystal chandeliers to dark walnut cabinetry, the atmosphere is timeless and elegant, with unique features such as a round guest bedroom and a high-end kitchen with stainless appliances.